Click here to access the issue (PDF). UGC (Promotion of Academic Integrity and Prevention of Plagiarism in Higher Educational Institutions) Regulations, 2018. Published on 07-08-2018. 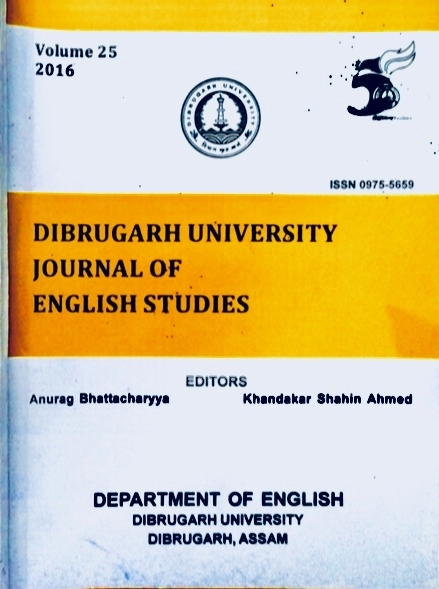 The copyright of the articles published remain with the Publisher: The Registrar, Dibrugarh University, Dibrugarh, Assam - 786004 on behalf of DUJES, and the Department of English, Dibrugarh University, Dibrugarh, Assam - 786004, unless otherwise specified. Cookies are used to enhance the browsing experience. Website maintained by the Editorial Board, DUJES, and the Department of English, Dibrugarh University. Last Updated: 27, October, 2018.